In an April 2, 2019 press release, Pure Storage announced its intended Compuverde acquisition. Pure Storage, a leading data solutions company, provides storage and analytics solutions for businesses of all sizes around the world. Pure Storage’s Compuverde acquisition demonstrates an investment in cloud-based storage. The Swedish-based company is a leading developer of file software solutions. Adding these capabilities to Pure Storage’s diverse offerings indicates a continued commitment to file-based shared storage. File-based storage is typically associated with a NAS gateway. File-based storage works well for organizing data in a hierarchical, simple, and accessible platform. The key to successful file-based storage is a documented nomenclature (naming) strategy and regular clean-up. Also known as shared filesystem, file storage is good for file sharing, archiving, and data protection. The architecture has its drawbacks, though; unlimited scalability means an unlimited number of files to comb through when searching for something you need. That’s something Pure Storage seems adamant on changing. File-based storage has been especially powerful in recent years as enterprise and mid-market companies move to the cloud. Compuverde’s focus on highly scalable software and file-based storage has been instrumental in the cloud migration journey for many organizations, as it enabled advanced file offerings for hybrid architectures. Pure Storage’s Compuverde acquisition will likely mean improved file-based storage offerings for hybrid public cloud users. Pure Storage Chairman and CEO focused on the need for businesses to “leverage the innovations of the public cloud in conjunction with their on-prem solutions” in the press release and indicated a focus on data assets for customers. How Might Pure Storage’s Compuverde Acquisition Extend Storage Capabilities? In addition to expanding Pure Storage’s file capabilities, the Compuverde acquisition puts Pure Storage on a clear path toward a hybrid cloud vision. As companies move aspects of their operations to the cloud, maintaining the normalcy of a file-based storage system empowers a smoother transition. As IDC and Pure Storage note, file-based storage offers the same advanced capabilities as on-prem environments, thus reducing obstacles to cloud migrations, especially for larger organizations. As such, it is more important than ever organizations looking at the cloud prepare with a cloud migration roadmap. Learn from the experts in our weekly one-on-one whiteboard sessions – either in person or via WebEx – where our cloud engineers listen to your unique needs and provide a consultative forward-thinking approach to your cloud migration journey. Always. Pure Storage’s Compuverde acquisition is centered on leveraging data – wherever it is – for the benefit of customers. Since so much unstructured data is stored in file-based storage today – 79% according to a 2018 report by IDC – the Compuverde acquisition will likely position Pure Storage as a leader in data storage. Mindsight is a Pure Storage partner with expertise in all things storage. 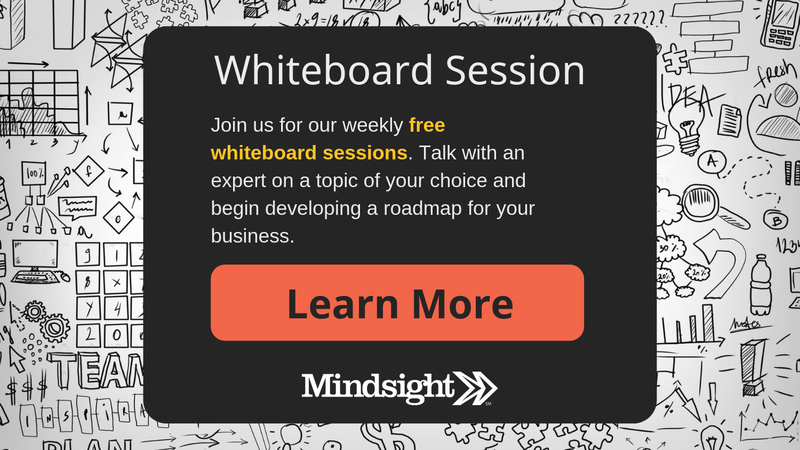 Register for a free one-on-one conversation with a Mindsight engineer to talk through your plans, your concerns, and what steps you can take to prepare your business for a data-driven future. Contact us today to discuss your storage needs.